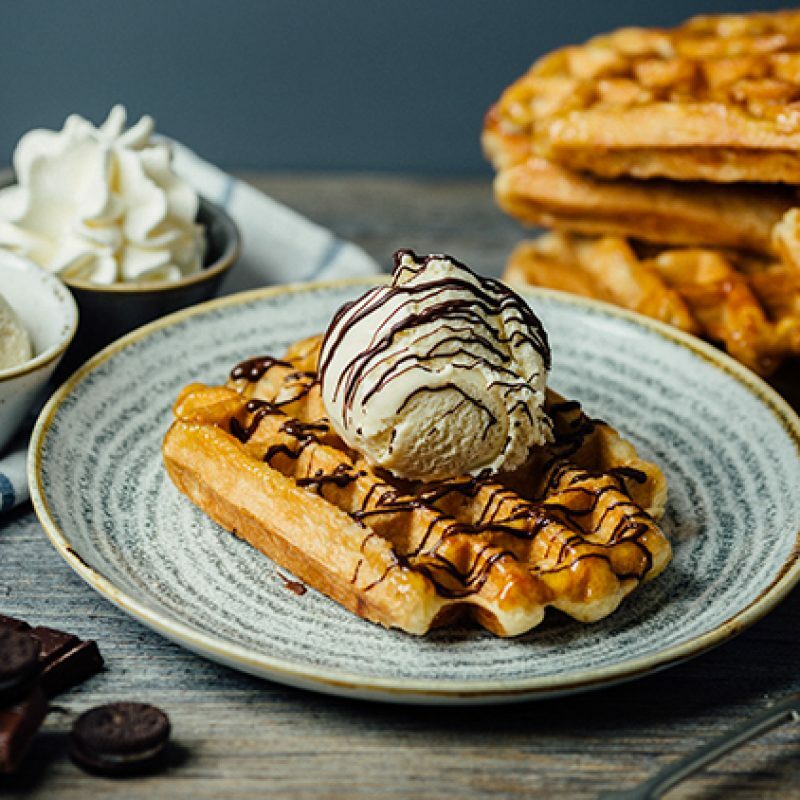 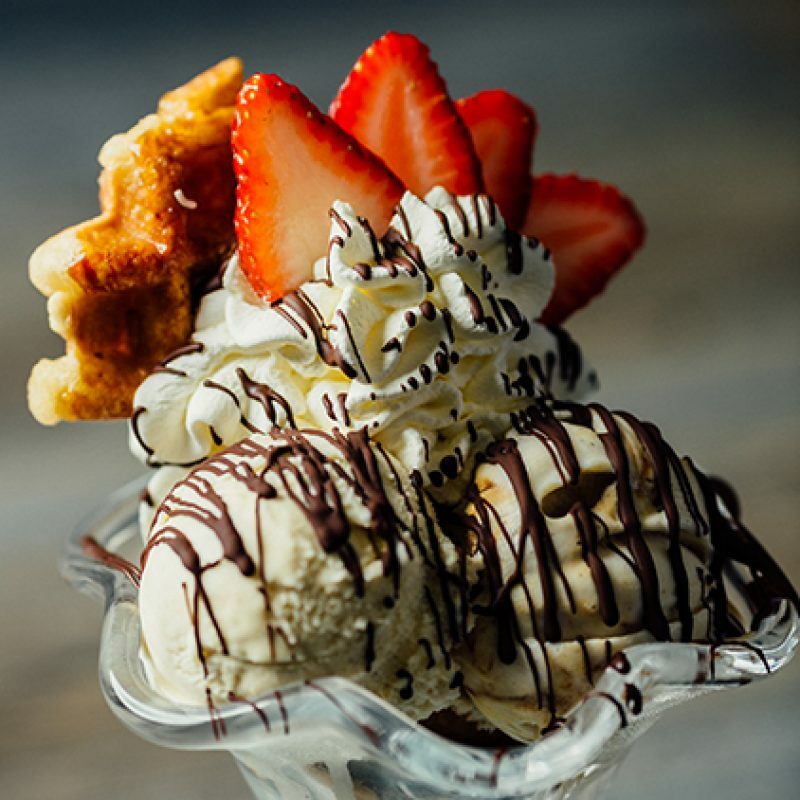 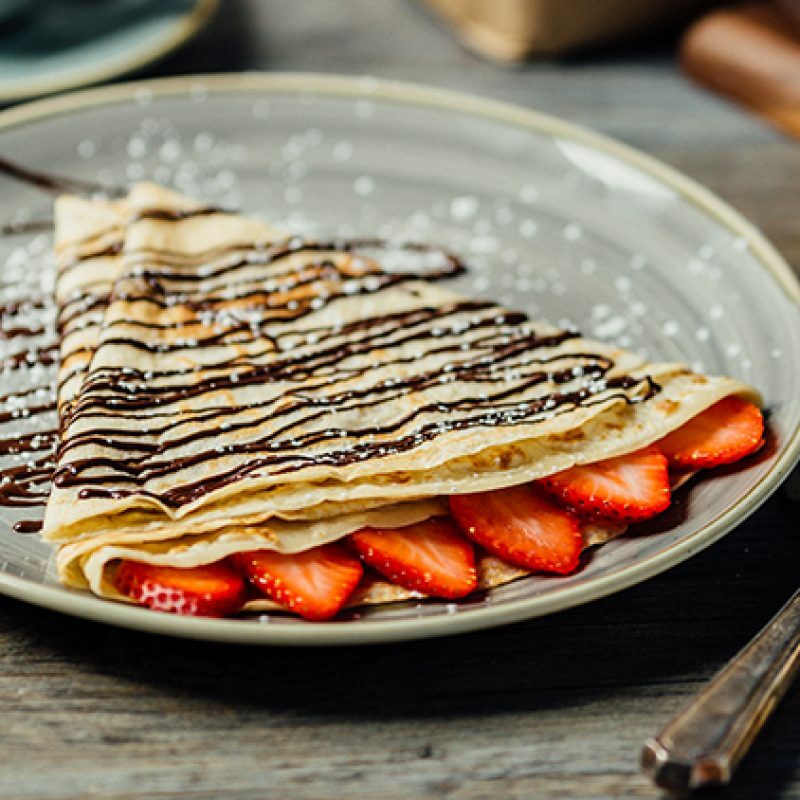 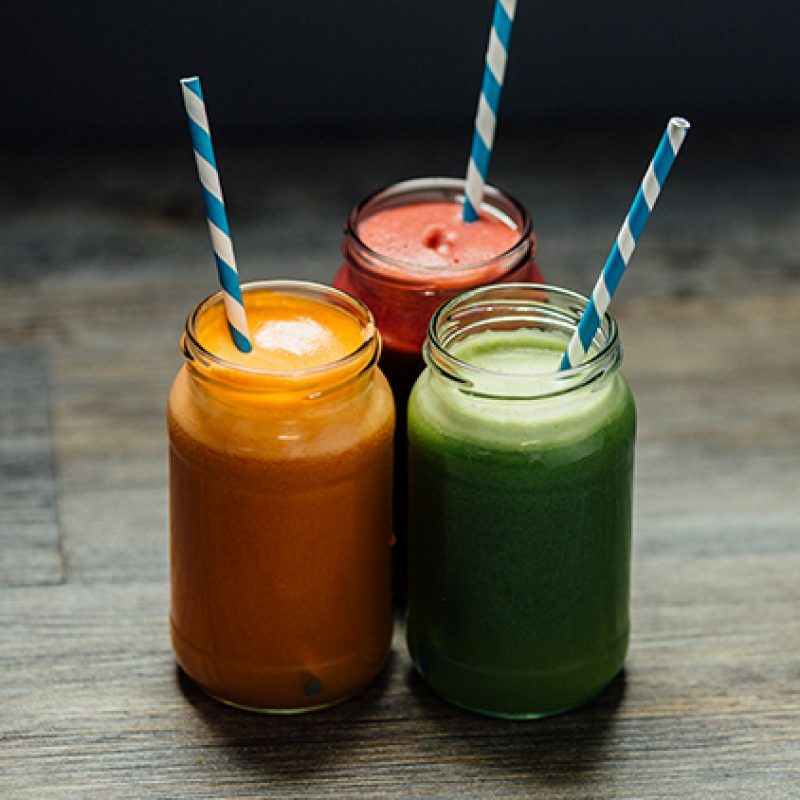 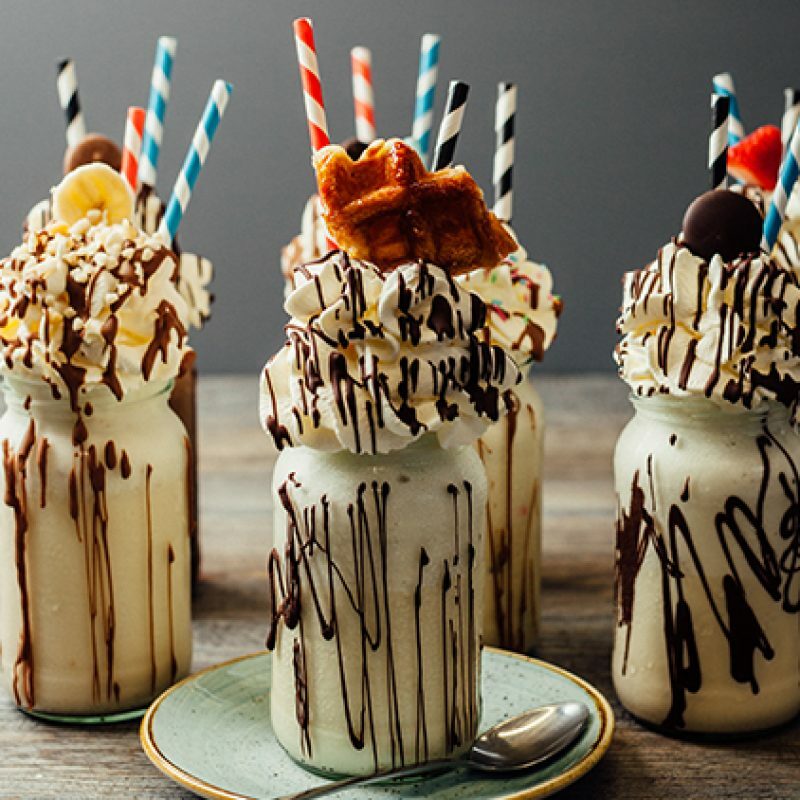 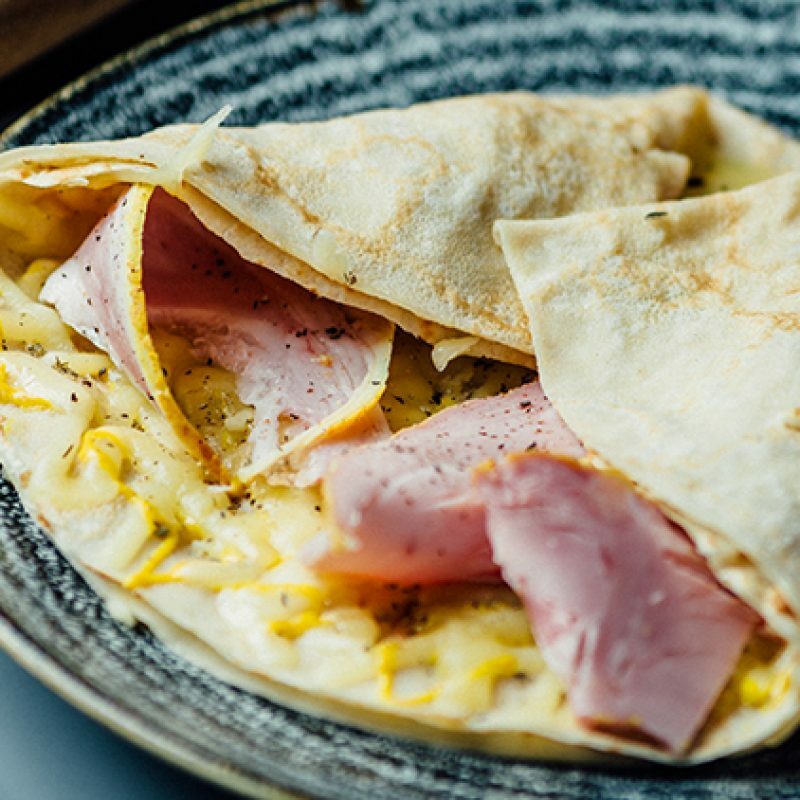 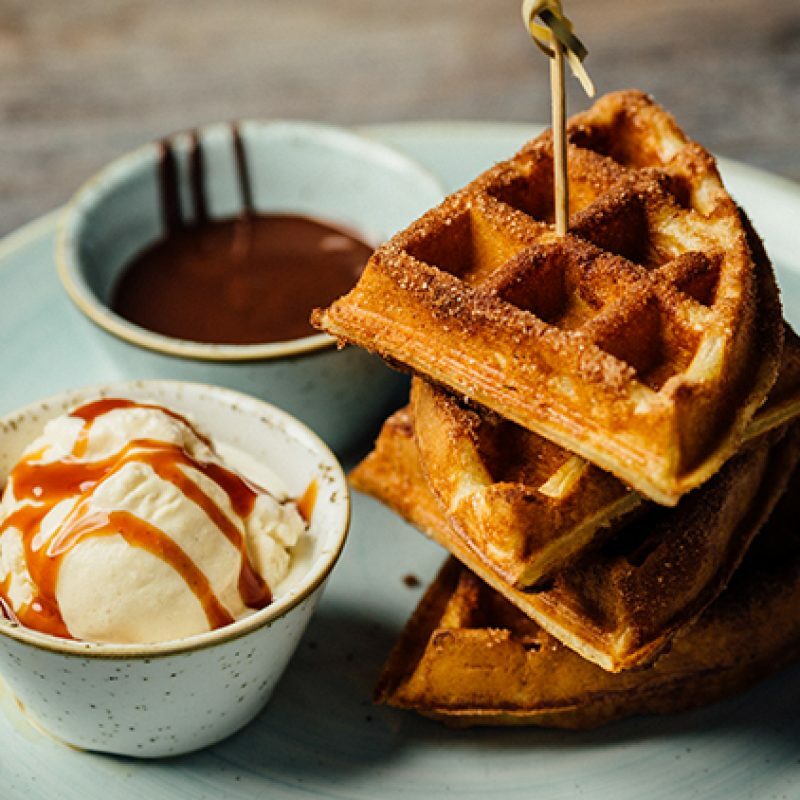 The American waffle is a stateside staple but did you know that the classic ‘Belgian’ waffles that have been around since the Middle Ages didn’t take off in the States until the early 1960s when a Belgian entrepreneur introduced the Americans to them! 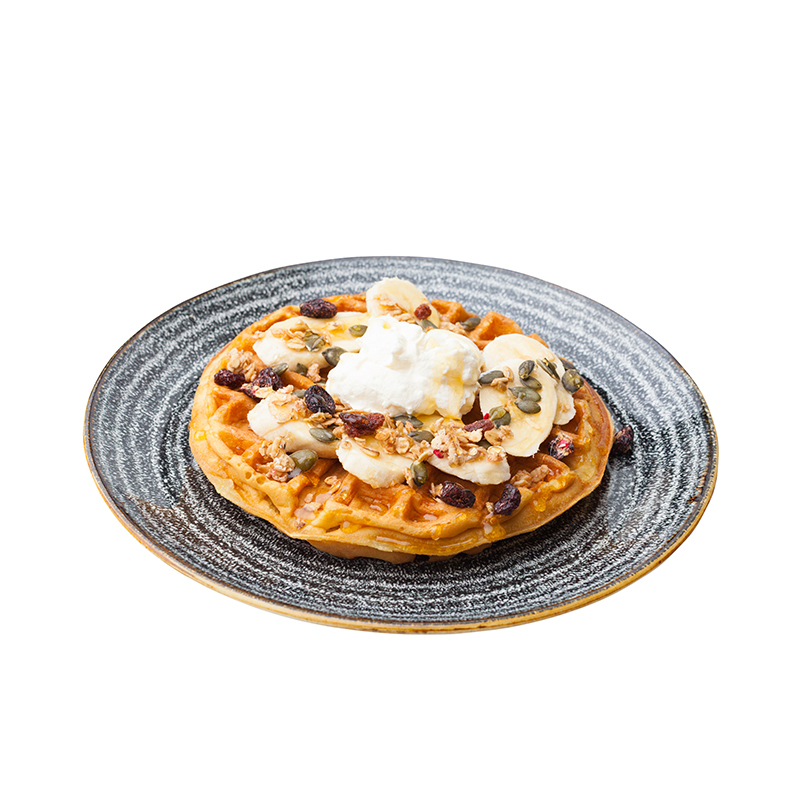 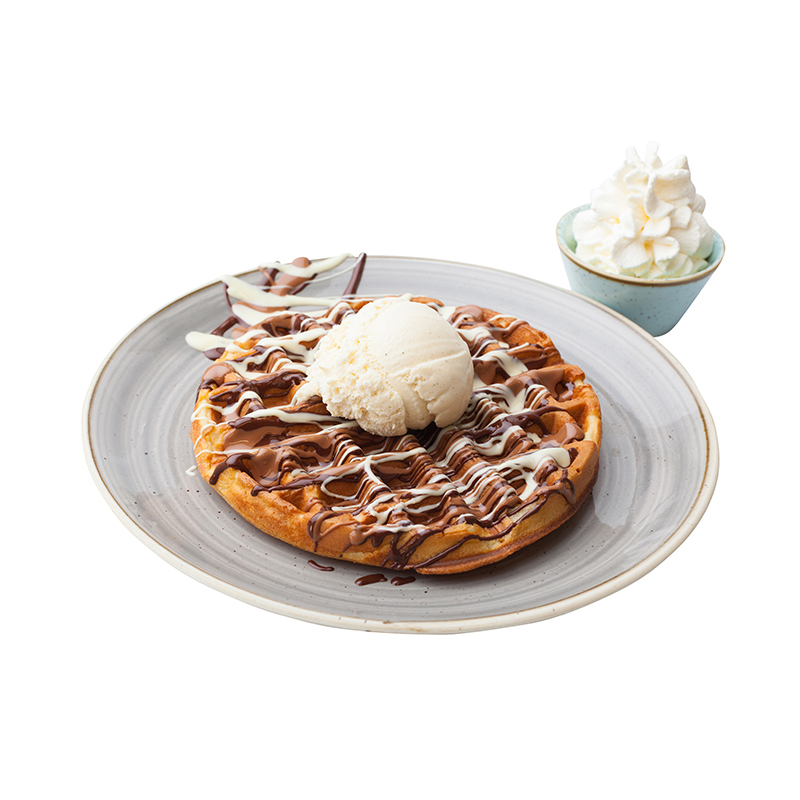 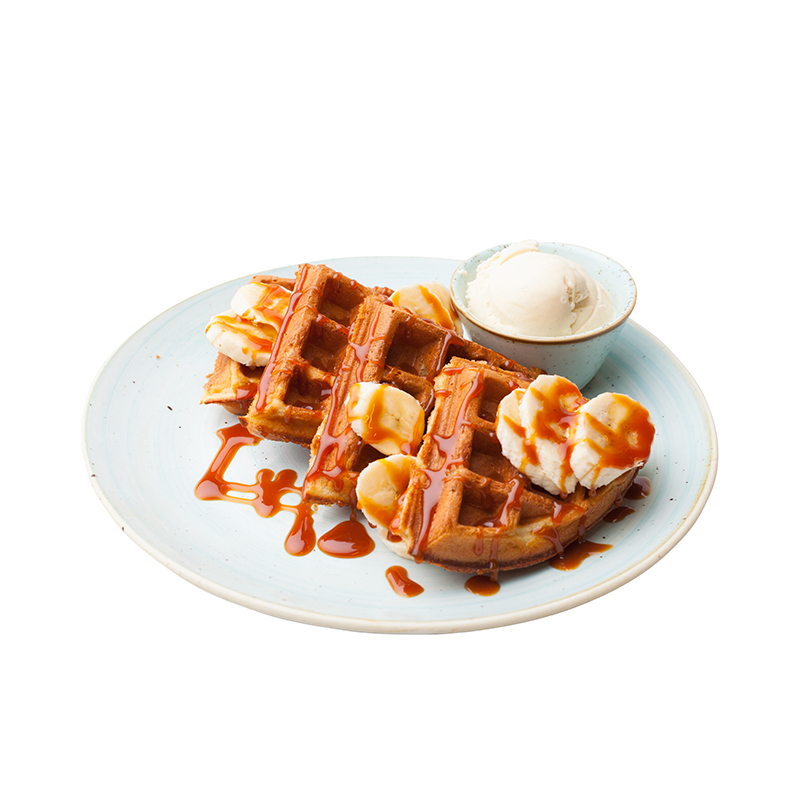 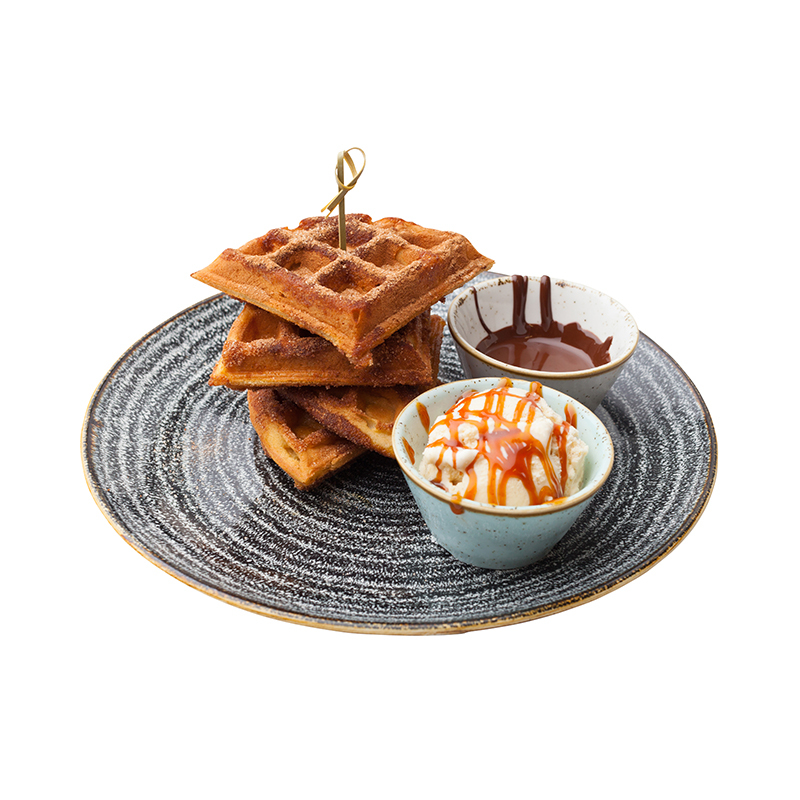 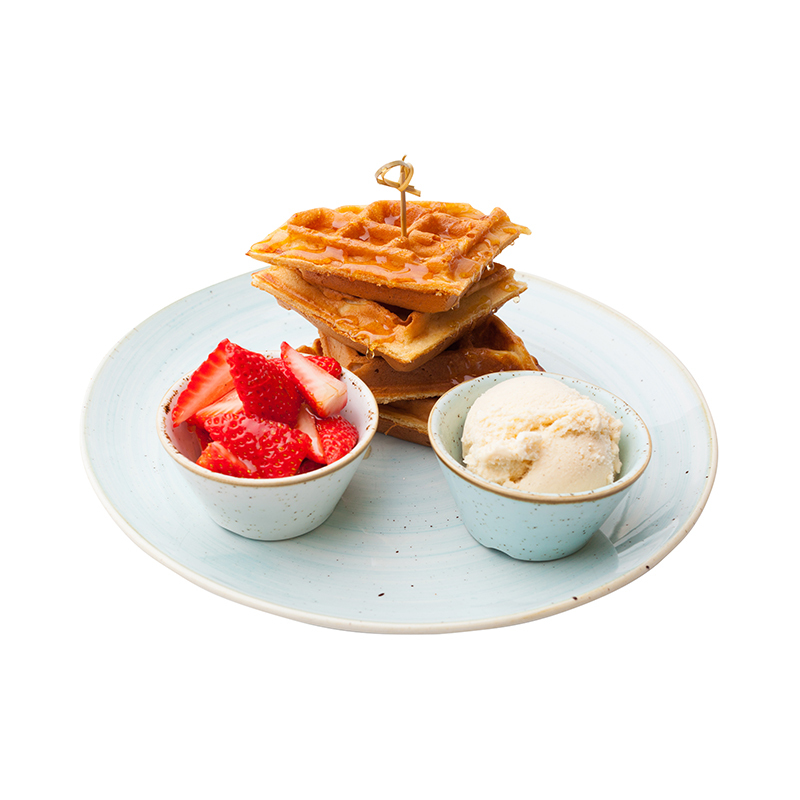 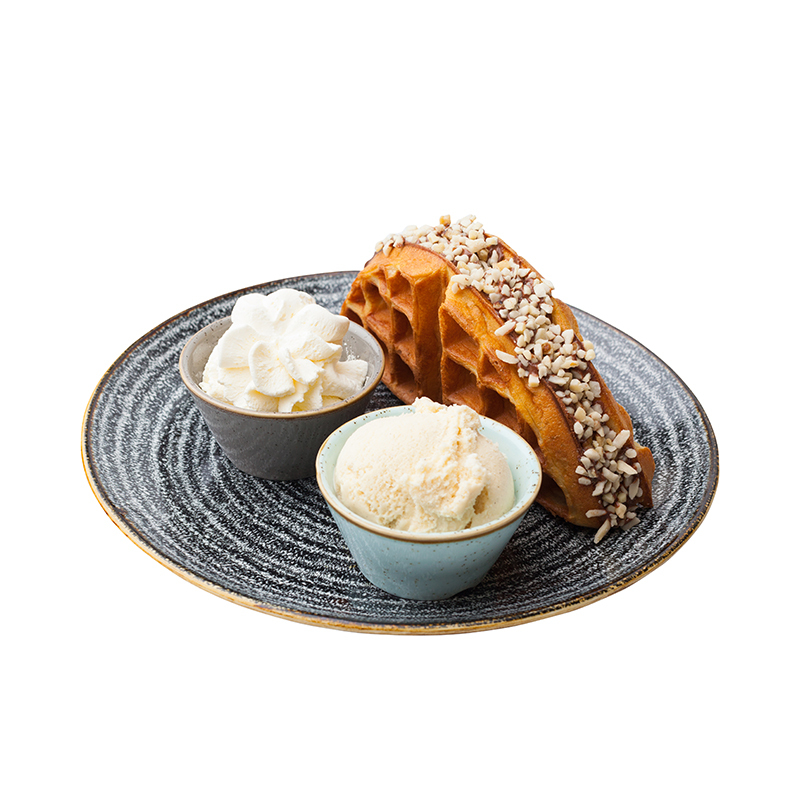 Sweet or savoury, our handmade American waffles will satisfy even the most discerning waffle connoisseurs, with each one handmade to order using the freshest seasonal ingredients. 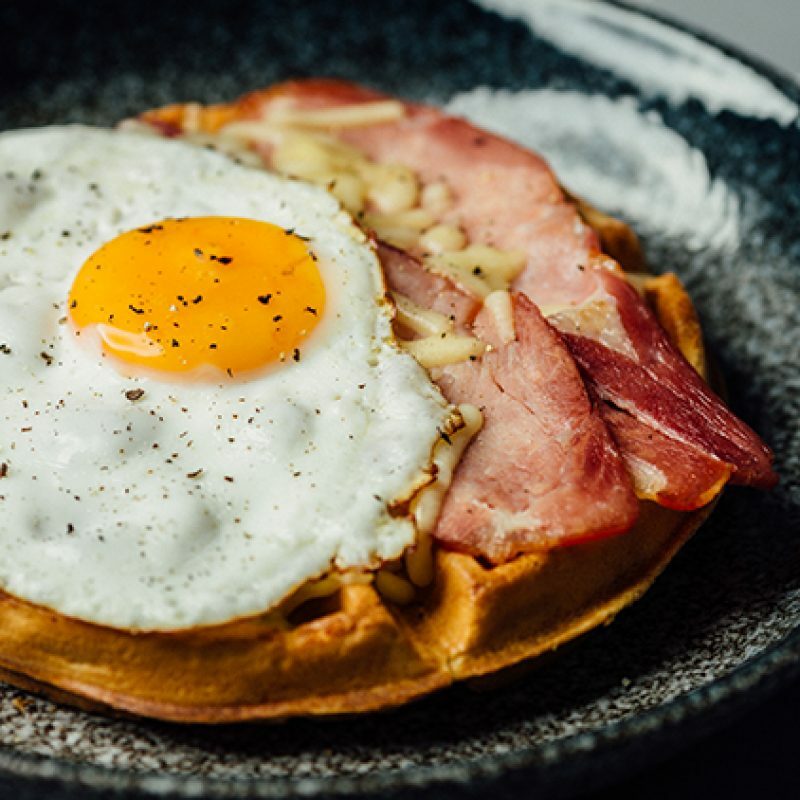 The all-day breakfast waffle with bacon, egg and Cheddar cheese is a firm favourite, as is the classic ham & cheese but how about something more exotic, like the halloumi and pesto waffle with cherry tomatoes and green olives or the salmon and cream cheese waffle, our take on the bagel favourite! 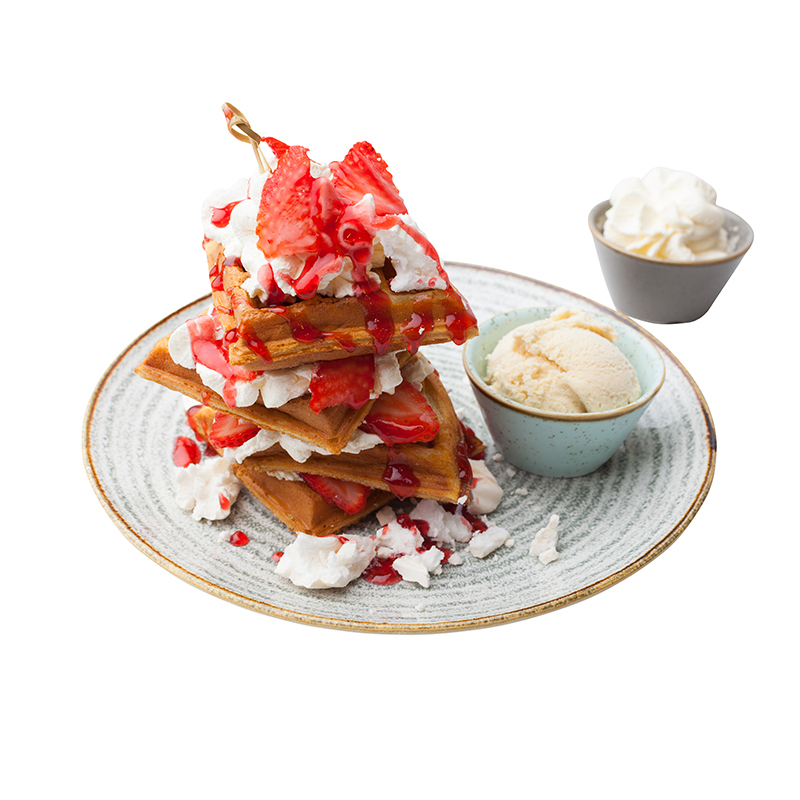 If you have a sweet-tooth, the granola, banana, Greek yoghurt and honey waffle is delicious with a nod to healthy eating but you can go full-on awesomeness with Nutella and ice-cream; maple syrup, strawberries and whipped cream; triple chocolate or our famous take on the Spanish ‘churro’ with cinnamon, sugar, caramel sauce and a decadent Belgian chocolate dipping sauce.